After miles and miles of driving your current vehicle, maybe you're thinking that you need to upgrade to a newer ride. Or, maybe you're moving and don't need the car you own anymore -- or you're just simply ready to move on. 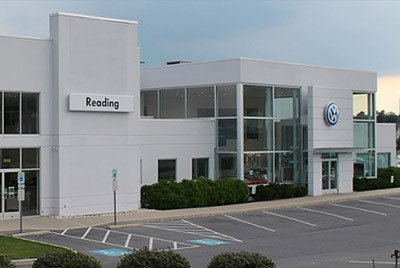 If you'd like to sell your car, be sure to come to our Volkswagen dealership near Wyomissing, PA! We'll buy any used car, so don't hesitate to stop by Volkswagen Reading. When you come to our Pennsylvania VW dealer, an experienced sales associate will check out your vehicle. They'll take a look at what condition it is in, provide you with an estimated valuation and then they'll provide you with a final offer. Then, you can sell us your car and be on your way! Plus, you can buy a new Volkswagen if you're looking to get a new vehicle. We have plenty of new Volkswagen models in stock for you to choose from. You can buy or lease a new Volkswagen Passat or Jetta, or opt for a sporty Volkswagen Golf or Alltrack. If you want a new VW SUV, take home a new Volkswagen Atlas or Tiguan and take the whole family for a spin. However, if you're just looking to sell us your car, you can easily do so. Just let our Volkswagen sales associate know that you want to sell us your car when you arrive! There's no pressure to buy a new car and we're looking to add to our used car inventory, so it's a win-win for everyone! We'll buy any used car, so come to Volkswagen Reading today to get an estimate of your current vehicle.